Making a website is not as difficult as it once was. No longer must you need to know hyper text markup language or HTML. However, you still need a little help to really get the type of website that you will ultimately be happy with. I know there is a lot of free website offers that are constantly playing on television, radio or as ads on Facebook. But, remember the saying “you get what you pay for” when going down the free road. Trust me, your time is more valuable than trying to figure out how to build a website without any support or assistance from a professional. However if you are tempted to try one of those make a website for “free” offers. Realize, pack a lunch and some patience and understand these free offers may be good for someone who just wants to say they have a website but it will almost always end up costing you more time and frustration than it is worth. I understand that I may not be able to change your mind. However, at least let me first provide you with an understanding how to make a website so you can make an informed decision prior to spending a lot of time and not being happy with the end project. The first thing you need to consider is the name of your website. The name of your website can also be referred to as your domain name. You can either use your company name or think of a cool catchy name that can really help make promoting your site easier. However, finding the perfect domain name can be really tricky. Not only have companies gobbled up a lot of the good domain names (referred to as domainers) but there are a lot of businesses with the same name throughout the United States that may have already grabbed the name for their business. As you can imagine, finding the perfect name for your website might be harder than you think. Before you get too discouraged let me say that there is two primary reasons for securing a domain name and maybe this will help you as you struggle to find the perfect name. The first purpose for a domain name is so your company, product or service can have an identity online. Having a branded domain name will allow you to tell friends, family and potential customers how they can find you online. For example if your company name is “ABC Strategies” only people who already know you or your company would know to search or enter that domain name into their browser. The second reason for having a domain name is so that people who are searching for your product can find you. In comparison to the first reason, if you purchase the domain “iSell[put whatever you sell here].com” then people who see this domain name get a sense of what you do. There is also some benefit to being found in the popular search engines when your domain name describes what you do. To purchase a domain name, you need to go to a company that sell domain names. They are technically referred to as “registrars” as they are the one who are actually licensed to register a new domain name. Many of the registrars can also provide hosting too. Finally, it is important to note that the domain name will be registered to you for as long as you keep renewing it with the registrar. The second step in making a website involves hosting. Hosting is the physical location where your website will be stored. Think of hosting as a piece of real estate that your house will be built on. If you plan on building a big house or website, then you might need a lot of real estate or hosting. This is an over simplistic analogy but it has helped a lot of people understand the purpose of hosting. Size – How much space are they giving you to build your website. Security – What security precautions do they take to protect your data. Speed – How fast will your website load on their server. Support – How fast can you get them on the phone when you need support. Hosting has become extremely affordable and you shouldn’t pay more than $20.00/month for a hosting account that will exceed your expectation in every category mentioned above. With hosting, you definitely get what you pay for. Learning how to write html code and do it yourself in the purest sense. Purchase software that writes html code for you. Similar to how Excel creates formulas that you enter into a spreadsheet. Use a Content Management System (CMS) that allows for drag and drop functionality. For this tutorial, we are going to choose option 3 and use WordPress.ORG as our CMS. WordPress is the most used method of building a website today. WordPress is very powerful and easy to work with. However, you must be aware that there are two variations of WordPress and for this documentation we are referring to WordPress.ORG. WordPress provides you with a dashboard and has intuitive editor windows much like your favorite presentation or word processing software. Search YouTube for videos on how to create a website using wordpress and you will find copious amounts of information. With these simple 3 steps you will be using the same tools that the professional use. I wish you all the best with your online endeavors. When it comes to your website, it doesn’t matter the South Florida neighborhood you live in, or whether your business is in Miami, Broward or Palm Beach County, when it comes to your website security you need to be aware of your hosting. Watch this video for an explanation of what website hosting does. Similar to how a computer may get infected with a virus, your website may get infected with malicious code that is designed to promote other websites or products. This is different than a hacker who wants to simply take your website offline or deface your homepage with profane laced propaganda. A malware attack simply uses your website as a method of promoting their products. Malware can be extremely difficult to isolate once your website is infected. Here are a few highly rated products that Think Big Websites recommends to protect you from being harmed by malware. SiteLock will monitor your website for changes and notify you when they detect a change in essential files that normally should not be changing. They also offer premium services that will correct any issues in the event you don’t feel comfortable making the changes on your own. 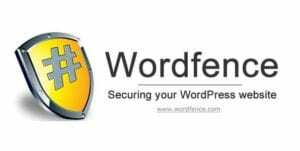 The other plugin we are currently recommending is the Wordfence Security plugin. We have used several other security plugins but find this plugin to be the most comprehensive and easiest to understand. Wordfence covers all the basics to keep your site protected as well as advanced features to cover the more complex website security issues. Two Factor Authentication is becoming an essential method of keeping hackers from accessing your website. Two Factor Authentication requires another device to be present when you are trying to log into your website. Some two factor authentication techniques such as Google Authenticator requires your smartphone to generate a random code that you must enter within a certain amount of time before you are allowed access to your website. Another method of two factor authentication such as Clef, requires the use of your smartphone’s camera to scan an image on your logon page. Both of this methods are extremely easy to use and get the job done. Implementing these techniques will greatly increase your website security and drastically reduce the possibility of getting malware or hacked. Think Big Websites take these issues seriously and insures your website is protected from any online threats. Thanks for reading our post. Keeping your website secure should be one of your top priorities. Think Big Websites builds 99% of their websites using WordPress and utilize only the best software to prevent unauthorized access and reduce the possibility of being hacked. Most hackers are only interested in defacing your website and causing you embarrassment. However, certain websites can’t afford this type of attack. Here are two important WordPress security tips you should highly consider implementing if you have decided to create a website on your own using WordPress. Here are a few critical safety items that you need to be aware of. First, you need to make sure that you don’t use “Admin” for your username. This is a default setting on many wordpress installations and it leaves your website vulnerable to attack. By leaving the username as “Admin” you have given a potential hacker half the combination to your dashboard. So, make sure you use a unique username. The second important aspect of creating your website with wordpress is to make sure you use a strong password. Gone are the days of using your pet’s name or your birthday. Hackers use very powerful software that try every name in the book, every word in the dictionary and every combination of the two. So make sure you have a very strong password. To create a strong password you can use a website such as strong password generator.